With hundreds of millions of devices running one or more of the 60,000 Appcelerator-powered mobile apps, we are inspired by the impact you are creating in the world – and humbled by the fact that you’ve all chosen our technology to do it. As we gear up for an action-packed year in 2014, we’re taking the time to acknowledge some of this great work. 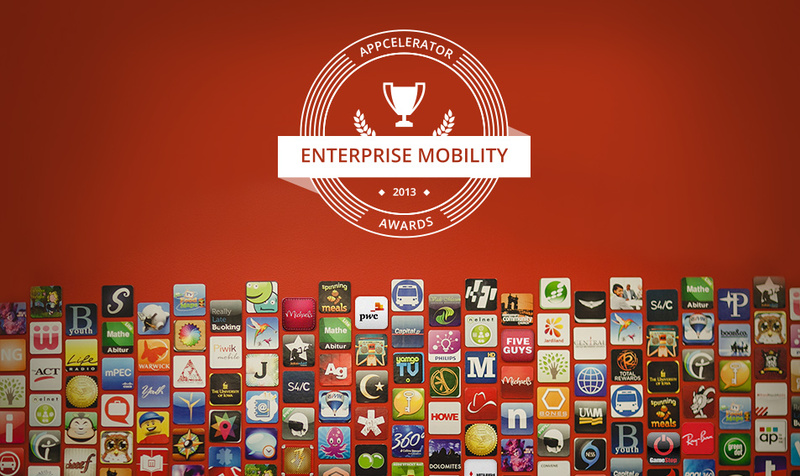 So today, we’re announcing the 2013 Enterprise Mobility Awards. Many thanks to the hundreds who entered this contest – we were truly impressed by every entry and wish we could have highlighted them all. So, without further ado, here are the winners! Sambro International needed a comprehensive mobile solution that provided cross-platform, fully native development, along with connections to legacy databases. Using Appcelerator, the company went from concept to live sales within 18 weeks. Sambro, which sells childrens toys to the tune of $50m/year, demonstrated a deep understanding of mobile innovation in their solution. Here’s to a great 2014 for a great team! When Tony Nuzzi built a cross-platform conference room booking system at an internal hack day at eBay, he wasn’t expecting the excitement and traction he received. Now, he’s spun the project off into his own startup and is building enterprise mobile apps full-time. The app, called LivelyMeeting, solves the frustrating problem of conference room booking in an elegant, user-friendly way. Great work, Tony! Crosscut is a non-profit aimed at solving the problem of homelessness. Upon realizing that more than half of the United States homeless population has regular access to mobile phones and the web, Jennifer Austin knew mobile apps could help solve these problems. 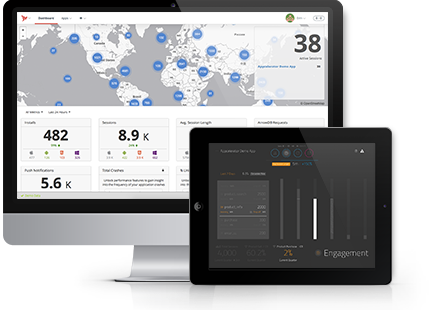 Leveraging Appcelerator’s enterprise-grade MBaaS and building cross-platform, fully native apps, the team is connecting large portions of the homeless population to existing systems in place for charities, social/emergency services, shelters and communities. The Crosscut team is truly making the world a better place, and we’re proud to play a small part in that. Architects have long considered their most powerful tools to be a pencil, a ruler and a piece of paper. So when Colton Arabsky, of Janian Media, set out to build a mobile app-based replacement, he was competing against one of the simplest user experiences there is. By focusing on an intuitive, fast and easy-to-use app, bolstered with API integrations to offer features like in-building geofences and Dropbox integration, the team shipped a cross-platform, native app that has pencils and paper around the world fearing their impending obsolescence. LoJack’s flagship product is a radio frequency based system for recovering stolen vehicles. The technology communicates directly with law enforcement agencies and has a success rate of more than 90%. The company needed a mobile solution that can keep their databases, workforce and certified technicians in sync while allowing easy connection to APIs and providing deep analytics – and they found Appcelerator to be their answer. In the past, a LoJack certified technician had to carry five different installation devices. The technician had to manually switch between the devices several times throughout an installation, and the company knew there was a better way. After implementing Appcelerator’s solutions, LoJack has replaced these five devices with mobile apps – saving time and money across the board. Thanks to Appcelerator, LoJack has eliminated hardware costs, made installations more efficient and ushered in the next generation of mobile technology. Roesner PTY is a 113 year old engineering company that manufactures fertilizer equipment for agricultural applications across Australia. With increasing demand on farmers to use fertilizer in a sustainable way, many of Roesner’s customers sought better insight and control. Knowing that 500,000 developers have chosen Appcelerator as their solution for cross-platform, fully native development and integration with myriad APIs, Roesner’s development team knew this was the answer for them. Thanks to this work, farmers across Australia can access enormous amounts of valuable information while sitting on a tractor. For this large, international airline, a consistent, powerful user experience across platforms and screen sizes is paramount. Using Appcelerator, the airline is flying straight into the future with a comprehensive mobile strategy that works seamlessly with their existing systems and databases. They are already seeing increased efficiencies and receiving great feedback on their native apps. Homes.com – a giant in the world of web-based real estate listings – represents more than 3 million homeowners, and has an on-the-go userbase with a variety of mobile devices and needs. They’ve taken their solutions to the next level with a robust mobile strategy built around Appcelerator. To kick off their mobile strategy, Homes.com was able to quickly deliver feature-rich, native apps for iOS and Android, with more than 70% code reuse. After major savings on initial development time, bug fixes and maintenance down the road will be faster and cheaper to locate and fix unilaterally. “The cross-platform nature of Appcelerator enables us to meet deadlines that would be impossible if we designed for each platform separately,” Newcomer said. Learn how Homes.com is using the Appcelerator Platform to transform their business. Transamerica, a 109-year-old company with nearly 20 million customers, has serious mobile needs. Using Appcelerator, the company delivered a feature-rich, fully native retirement planning app to be used by anyone. After using with XCode and Java and seeking a solution that would allow rapid native development across platforms – and one that would make it easy to integrate legacy databases and APIs into the experience, Adam Fischer landed on Appcelerator. Now that they’ve standardized the use of Appcelerator, Fischer says there’s no question that Transamerica can be billed a forward-thinking technology company. With a global network of dealerships, employees and customers, communication is key at this company. Their mobile solution had to allow seamless communication. Enter Appcelerator, which helped them build apps to build a direct connection between dealers and website-generated sales leads. The company leveraged Appcelerator to build and launch a B2E mobile app that receives these leads and distributes them directly to the dealerships closest to them. Now, they’ve solved this problem in a data-driven, customer-focused way and is expanding its mobile strategy to further solutions. Have a great enterprise story you’d like to share with us? Send it to community@appcelerator.com and we’ll send you a t-shirt! Become a mobile leader. Take the first step to scale mobile innovation throughout your enterprise. We will review your request and get back to you shortly.